Most beginners have no idea what it means to impression a lock, and they are unsure of what exactly it entails. Well, the purpose of this article is to show beginners exactly what impressioning entails. This post will walk you through the basics of lock impressioning, and discuss any limitations, required tools, and anything else that a beginner (maybe such as yourself) might need to know. Now, I would like to impress a simple rule upon you (see what I did there? ), and I will continuously repeat it throughout the course of this article. As a ground rule, never use the knowledge you acquire here on a lock that you do not own, or on a lock that you haven’t been given permission to impression. If this sounds familiar to the basic rules of lock picking, that’s because it is the same core tenet. So always remember that. Also, for most of this article, the focus will be on basic pin tumbler locks, but there will also be a brief overview that discusses how impressioning works on other locks. I believe the use of a basic pin tumbler lock is the easiest way to introduce this concept to beginners. Now let’s get started. Lock impressioning is a method that can be used to fashion a working key for a lock without the need to disassemble the entire lock body or destroy any of its parts. It is often a go-to method for locksmiths and lock enthusiasts who want to make a key from a lock. Most people resort to using this method because it is much more direct than some of the other alternatives that are available. Likely alternatives for opening a lock without the required key include lock picking and lock bumping. Impressioning is a pretty great skill to learn, and it comes in handy in all sorts of different situations. It might not help you if you locked your keys in your car, but it might help you get back into a locked house, or open a bike lock secured by a padlock. Now would probably be a great time to say that impressioning (especially for beginners) takes some time to master, but once you’ve mastered it you will probably be able to make a suitable key in about 10 to 15 minutes. At its most basic level, one could say that you are, in fact, making an impression of the lock on a new key. 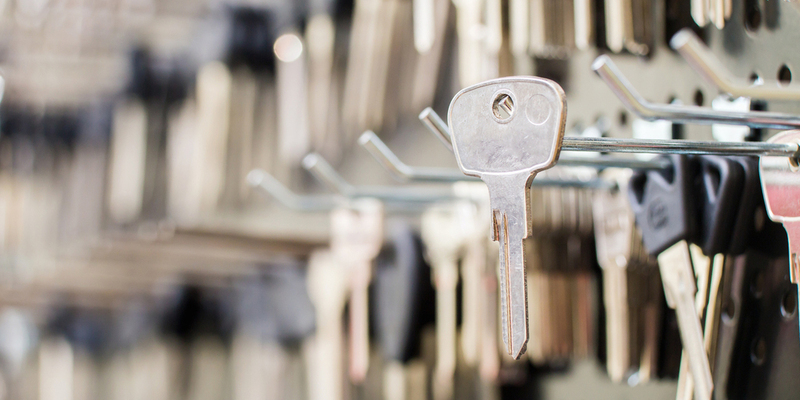 Doing so allows you to make a functioning key without having to completely pull your lock apart. In a nutshell, impressioning involves marking a key blank with the approximate locations of the pins that are binding within a lock cylinder. Who Can Impression a Lock? Good question. As I said earlier, I will continue to repeat that you should only impression a lock that is yours or that you have been given express permission to work on. You will notice that there are some overlaps between the process for impressioning and lock picking, which only makes sense. I will say that lock picking is probably much more challenging and requires constant practice with the right lock picking tools and right practice locks. This is not to say that impressioning does not require practice as well. So to answer the question, as long as you own the lock you can impression it, and anyone who has been granted permission to work on one can impression said lock. It is usually the case that you will find a locksmith impressioning a lock. However, if you take up the skill yourself, you can impression your own locks for practice purposes. You can also use the skill practically if you lost your keys and you need a new one made for cheap. Then again getting copies made of residential keys are not nearly as expensive as duplicate car keys. Can All Locks Be Impressioned? Most locks can be impressioned, but the better question would be whether or not it is worth it to impression all locks. High-security locks, or locks that are a little more complex than standard pin tumbler locks, take a bit of time to impression. For instance, disk detainer locks are equipped with sidebars that make them rather difficult to impression. Most professionals would resort to other, more efficient, methods when confronted with locks like these. As a beginner, I would advise that you start out with a simple lock that allows you to get a grasp on the basic process. In a nutshell, other types of locks can be impressioned, but it comes down to whether or not impressioning is always the most efficient approach. What Tools Are Required To Impression? These are the tools that are required to successfully impression a lock, and they are usually very easy to get a hold of. Similar to some of the best places to buy door locks, you can get your hands on these items at your local hardware store, or from an online retailer. Amazon, for example, offers a wide array of key blanks and files for impressioning. Let’s break down some of these tools and go over some considerations that have to be made for their use. As I mentioned earlier on, we will mostly be dealing with basic pin tumbler locks. I believe this is the best way to start learning about impressioning a lock, but this does not mean that they are the only locks that can be impressioned. Tubular locks, warded locks, disk detainer locks, etc., can all be impressioned, but not with the same level of ease. The lock itself is not regularly regarded as a tool, but it will be for most beginners who are looking to get their feet wet as they continue to learn. The key blank is probably the most important tool in this entire process because you won’t be able to appropriately impression your lock without first having a key blank. The type of key blank that you choose is very important. Using a key blank made of the wrong material will make your attempt unsuccessful. When it comes to impressioning, you should always try to use soft brass key blanks. This makes it easy for the pins within in the lock cylinder to impress their necessary marks on the key blanks. If you use a key blank made of a stronger material, such as steel key blanks, you will have a rather rough go at it. Also, it is crucial that your key blank match the specifications of the lock you are working on. Files go hand in hand with the key blank. In this process, the file is used to whittle away at the key blank to make the cuts that correspond to the pins in the lock cylinder. Most locksmiths and industry professionals will use (and recommend) a 6-inch swiss #4 cut round file or pippin file. A file that is described as a swiss pattern file simply signifies that it is best suited towards making fine, precise, cuts. This is exactly the kind of file you need for a process like lock impressioning. The process of impressioning a lock, has an element of force at its core. Do not let this alarm you, I merely mean that a certain amount of force has to be applied to the key blank so that the necessary marks can be made. This is where the key grip comes in. The key grip can be used to hold the key in place while torque is being applied, and it will make things much easier for you to handle, especially if it is your first time impressioning a lock. The purpose of the magnifying glass is rather simple. Their first purpose is to help you notice the tiny marks that the bound pins will make on the key blank. Their second purpose is merely to help you achieve a modicum of precision while you work. As has already been mentioned, impressioning is done to fashion a working key from a lock. This should already tell you that the process involves somewhat of an intimate relationship between each of these elements. In order to begin the process a key blank is inserted into the lock that is going to be impressioned. Once this happens, the key is jiggled back and forth so that the bound pins within the lock cylinder can make tiny marks along the key blade. The key blank is then removed from the lock so that you can view the markings that have been made. These markings are then filed down to achieve the cuts on a key. The cuts that are made on the key should ideally correspond to size of the pins in the lock cylinder, so that the pins can be successfully raised to the shear line. Now, I know this sounds like an oversimplification, and that’s because it is. I simply want to explain the gist of the process before we dive into the steps that are involved. Follow along with me and I will walk you through the basic, beginner, steps that you can use to impression a lock. The first step simply involves rounding up all the tools you will need and setting them up on an available workstation or work bench. If you’re undertaking this process at home, a table with enough space for you to work is a fine alternative. Just to recap, the tools that you require are the lock itself, the key blank, a file, key grip, and a magnifying glass. Having enough space to set all your tools in front of you is crucial, but then again if you master this process and you are in a rush, do whatever makes you more comfortable. 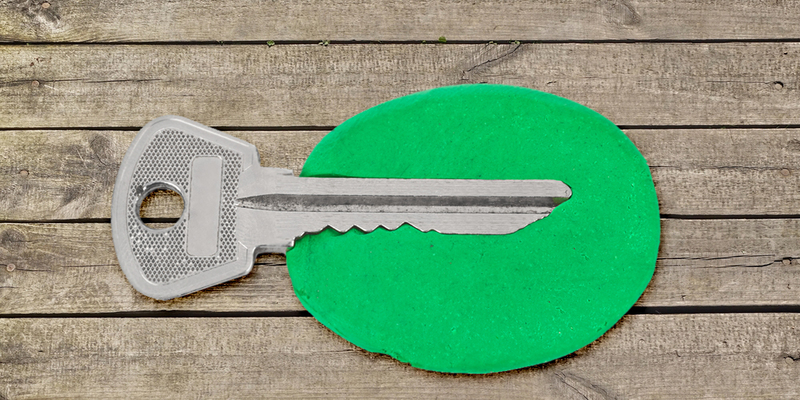 Prepping your key blank is an important process, and if you neglect to do this there is a chance that your attempt at impressioning the key will be unsuccessful. If this process is neglected, there is a chance that the you will not be able to properly see the markings made on the key blank. Remember, for beginners (and most others), using a brass key blank always works best. As a beginner, you should have at least 5 key blanks on hand. This makes it easier for you to practice and get comfortable with the process, it also gives you the freedom to make mistakes that impact your learning process. Impressioning a key is a rather intricate process, and mistakes are bound to be made on your first try. For instance, if you file the grooves to deep, the entire process is in jeopardy, but mistakes like these are common among beginners. If you file a groove to deep, it can throw the entire process off, and mistakes like that are common among beginners. Before you insert the brass key blank into the lock you are working with, you should take the time to file down the surface of the blade. Some key blanks have chrome plated finishes, so you want to take the time to file past this layer till you see the brass. It is a relatively quick process that really impacts the outcome of lock impressioning. Once you have adequately prepared the key blank, you can then insert the key blank into the lock you will be impressioning. Similar to lock picking, beginners should try their luck out on some good practice locks, instead of jumping straight into a lock that might be on the list of best padlocks or best front door locks. A lock like the Master No. 3 would be much more suitable than the Stanley hardened steel padlock. Now, if you have your lock in front of you, and your key blank is adequately prepared, you can insert the key into the lock and begin the process. For beginners, I would suggest making use of the Key grip at this juncture. A suitable amount of torque has to be applied to the key after it is inserted to the lock, and doing this without the aid of the key grip can be rather cumbersome. 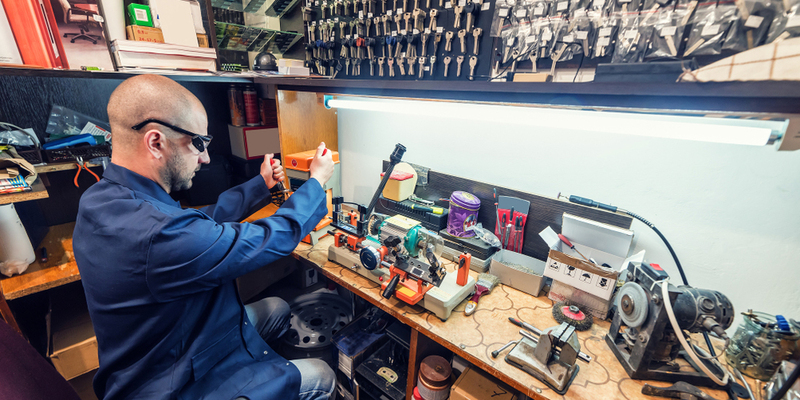 Locksmiths and other seasoned professionals, such as BosnianBill, do not always use Key grips because they are much more experienced. So you can use the key grip to firmly hold the key in place, or you can do it by hand if you are much more comfortable with that approach. While firmly gripping the key, and with it being properly inserted into the lock, you can begin to mark the key blank. In order to mark the key blank, it first has to be placed in the keyway of the lock in question. The lock itself will not open, because the key blank does not yet have the appropriate groove depths that correspond to the height of the pins within the lock cylinder. There are three different methods that can be used to mark the key blank. The names for these processes might vary based on who you ask, but the methodology is the same all around. These methods are commonly referred to as the pulling, rocking, and tapping method. Each of these procedures are quite similar, so feel free to try each of them to see what works for you. It should also be noted that each of the aforementioned methods still requires the lock to be inserted, and a suitable amount of torque to be applied. In its most basic form, the pulling method involves inserting the key and applying the right amount of tension so that the pins bind effectively. The key blank is then pulled out while tension is still being applied. This process works best on basic pin tumbler locks. However, it is not the most accurate way to gauge the positions of where the groove depths should be. The rocking and tapping method both involve jostling the key while it is inserted in the key way. Rocking the key blank while tension is being applied helps the lower pins effectively mark their positions on the blank. If too little tension is applied, the marks won’t be made, and if there is too much applied, the key blank or the lock might be damaged. The tapping method seeks to achieve the same level of movement as the rocking method, but this movement is facilitated by tapping gently against the bow of the key with a light-weight mallet or a screwdriver. Identifying the pin marks made on the key blank can be tricky because they are very hard to see. This is where the magnifying glass comes into play. There are several options to choose from when it comes to magnifying glasses. The important thing is to select one that allows you to file the key blank unimpeded. This means you choose one that can be mounted on a stand, or a head mounted magnifier. You can then begin to file away at the marks that have been made on your key blank. Ideally, you should begin by filing just a little portion at a time. Also, a simple rule that will really help you with this process, is to only file parts of the key blank where the appropriate marks have been made. Once again, these marks are made by the pins within the lock and they signify the corresponding grooves that should be made on the key blank. Once you have completed the first round of filing, the process will have to be repeated until there are no more marks being made on the key blank. As a quick reminder, you should only file down sections of the key blank that have been marked. This process requires a lot of patience and repetition. Essentially, you will have to insert the key blank and repeat the above processes, and then file down any marks that have been made. As you progress, you will notice that the number of marks being made on the key blank gradually reduces. Continue to repeat this process until there are no more marks being made on the blank. In some instances, this process will not yield the most accurate results, but this is not something that a beginner has to worry about. As you progress and move on to harder locks (that are yours), you will come to find that there are some easier ways to achieve these results by means of a key cutting machine, or a caliper that lets you measure the groove depths. If you are a beginner who was looking to learn more about impressioning, and some of the things that go into it, I hope this post has been beneficial to you. Always remember to be patient with yourself as you learn and practice this skill. Also, never use it on a lock that is not yours, or one that you have not been granted permission to work on.